I went to Leesville this past Thursday, August 15, 2013, with my dad and caught this 42 lb. 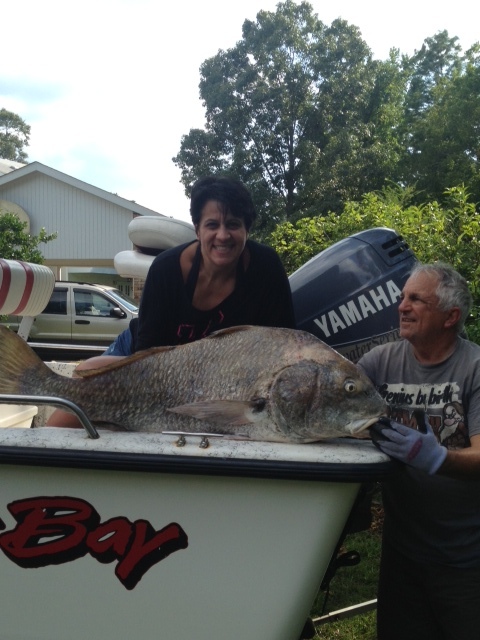 black drum on a Zebco rod/reel on 12 lb. test line. I don’t know how long it took me to get it in but, by the grace of God, we got it in. Once I got it to the top I netted it but to get my dad to help me lift it into the boat. It’s tail hung out if our ice chest the whole way home. Had a blast bringing this in.